The benefits of all peels is to repair damaged skin cells, promote new healthy cell growth, rejuvenate and tighten the skin and stimulate collagen production. We help our clients care for their skin through specialized skin treatments designed for your skin type and skin problems if they exist. 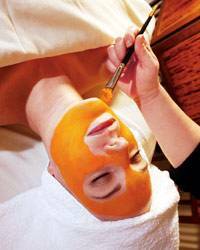 To support your skin after a facial a skin care routine is given to each client after each facial. We recommend caring for your skin daily by following our recommended guidelines to maintain your skin's healthy cellular structure and appearance.